This year’s research covered 158 companies from 17 sectors and 31 countries. It found that 82 per cent of the 102 member companies under the 2014 and 2018 reviews improved their overall score in corporate reporting and 37 per cent saw progress in their materiality score. The review by WBCSD and Radley Yeldar was based on a range of indicators, including materiality, stakeholder engagement and strategy. In the report, CLP – an investor and operator in the Asia-Pacific’s energy sector – was recognised for its stakeholder engagement approach. The review said CLP not only illustrated how it created value for stakeholders in its main 2017 Sustainability Report, but also provided a detailed overview of different stakeholder groups by region and business level; outlined their key concerns; and explained how CLP engaged with them in an addendum. “These extensive engagement mechanisms demonstrate good business management practice,” it said. CLP also joined the WBCSD Leadership Program, which this year focused on helping industry practitioners understand how to communicate sustainable development. After an eight-month exploration, more than 40 participants from different countries and industries produced group research reports in a range of areas: getting chief financial officers on board with sustainability; integrated reporting; digital reporting; assurance of environmental, social and governance (ESG) data; impact assessments; safe sanitation; and communicating the use of low-carbon fuels. use existing frameworks, studies, life cycle assessments and risk assessment protocols for a net impact assessment. 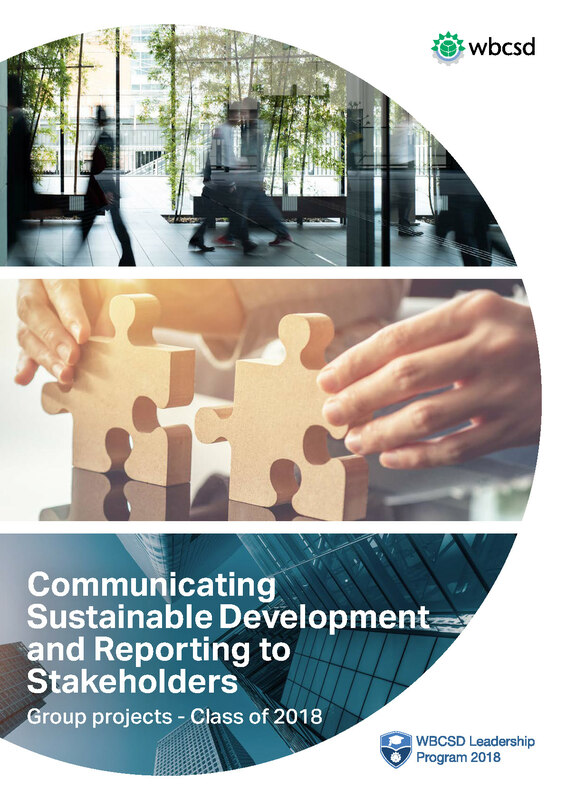 The launch of Reporting matters and the conclusion of this year’s Leadership Program were both highlights of the WBCSD Council Meeting held in Singapore in late October. Find out more in this video. To make reporting a success, the management’s oversight of sustainability issues also plays an important role. In Hong Kong, a survey of 212 C-suite executives and senior management members of listed companies found that nearly 70 per cent of the respondents acknowledged that ESG issues were essential or good for business, but only 37 per cent had integrated these factors into their strategic planning. To improve board oversight of ESG issues, 43 per cent of the business leaders polled expected their company to increase investment for improving the tracking of ESG issues and related communication to their board in the next three years, the joint survey by KPMG, CLP and the Hong Kong Institute of Chartered Secretaries (HKICS) found. To read the full report, please visit the HKICS website.